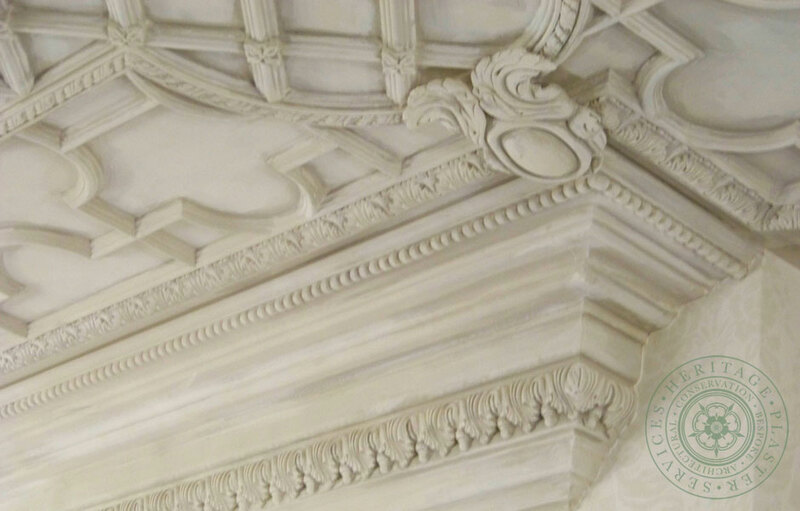 The Tudor and Jacobean periods (1485 – 1625) marked the evolution away from the medieval styles of building toward more sophisticated structures with classicised decoration. 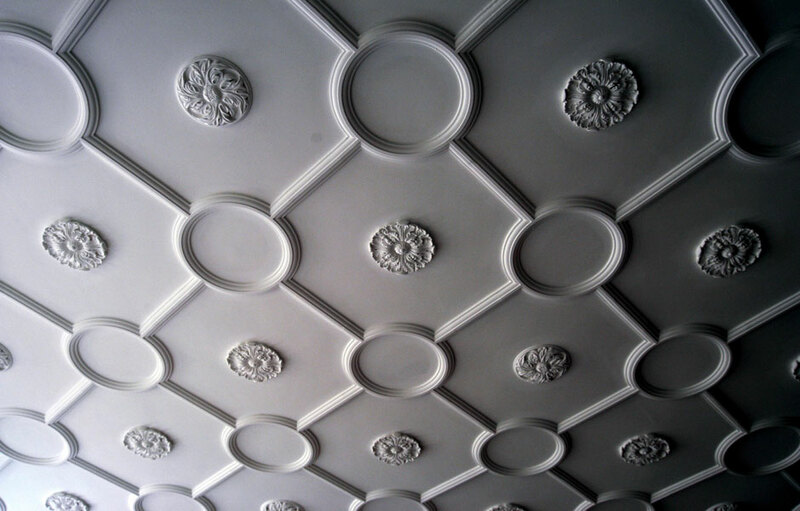 Not only was there a rise in the quality and quantity of more durable buildings, but also developments during this period enabled the appearance of the Tudor and Jacobean interior. 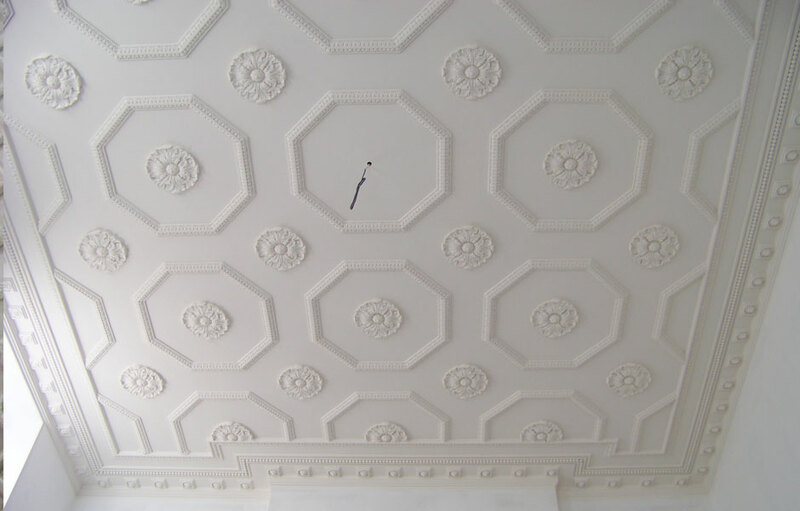 Of these developments one in particular led to the beginnings of bespoke ceilings, this was namely the removal of a need for a central hearth, which was now replaced with a wall fireplace in almost all sizes of dwelling by the end of this period. 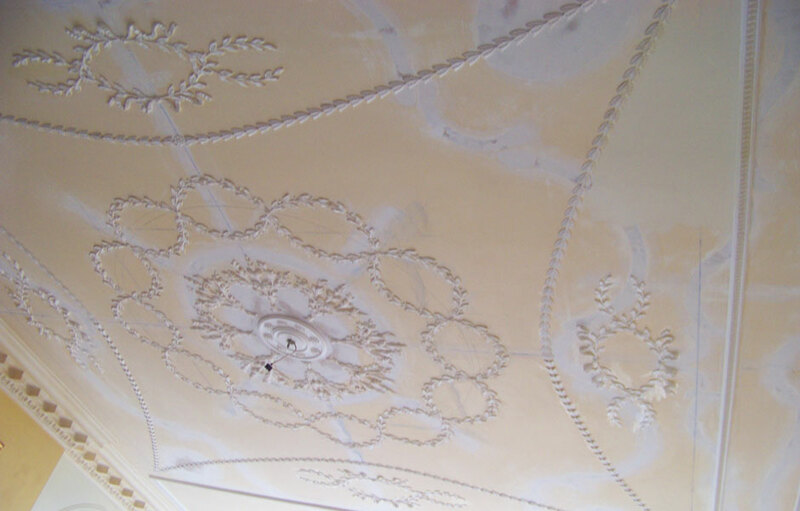 This alteration meant there was no longer a need for single story houses with holes in the roof, and more importantly the ceilings were no longer obscured or damaged by smoke, therefore allowing the beginnings of decorative plaster ceilings. 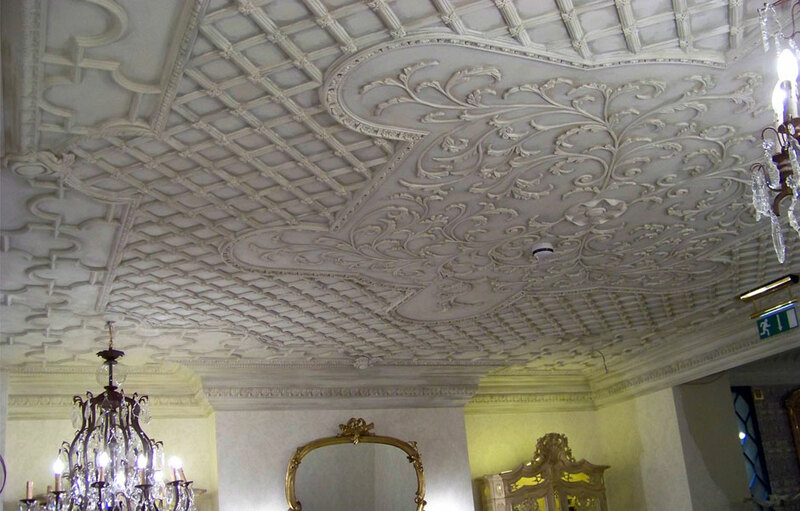 Thus fashionable Jacobean interiors incorporated decorative plaster ornamentation to every surface, including ceilings of strapwork with pendants and bosses. 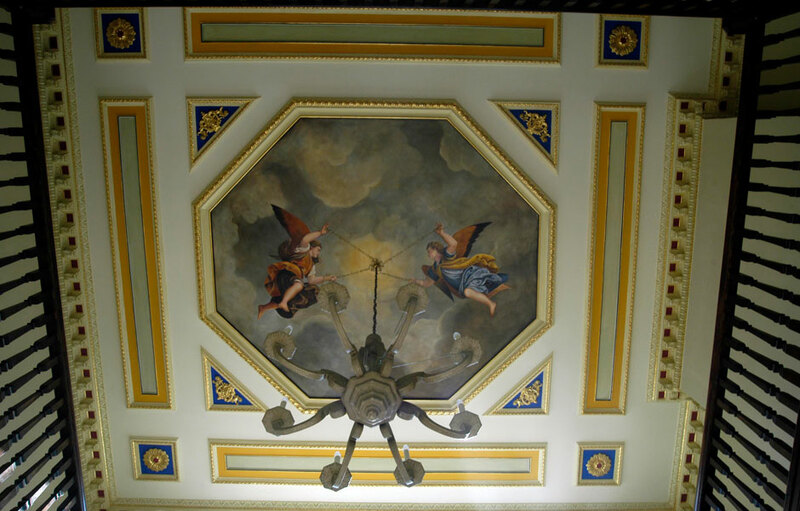 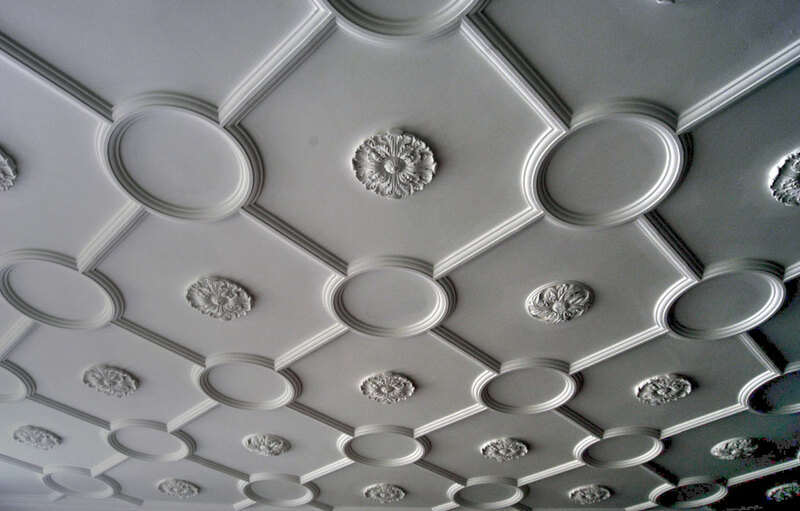 The decoration of ceilings has since continued through all periods of architecture right to modern days, through highly enriched victoriana to shaped modern ceilings built to incorporate all the requirements of todays buildings, such as A.C; Audio and Visual; I.T; and Safety. 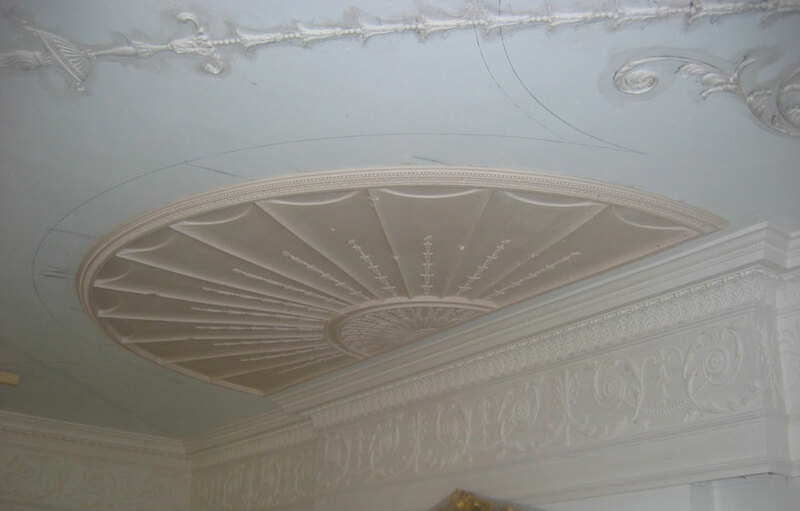 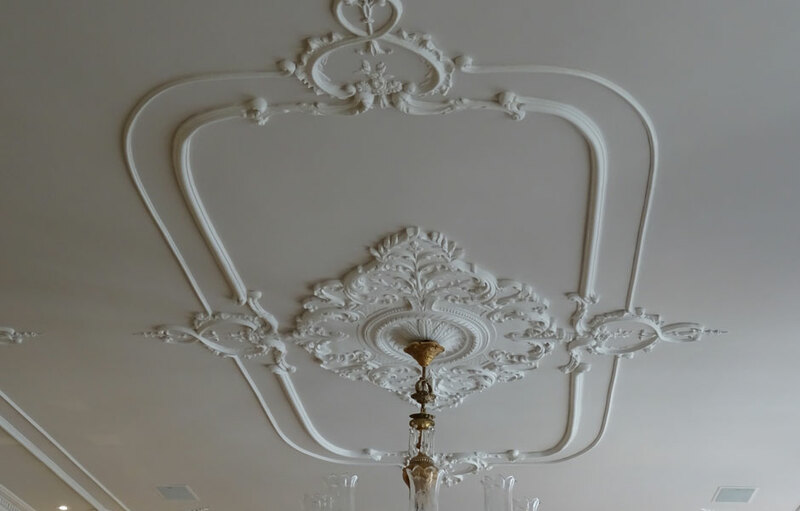 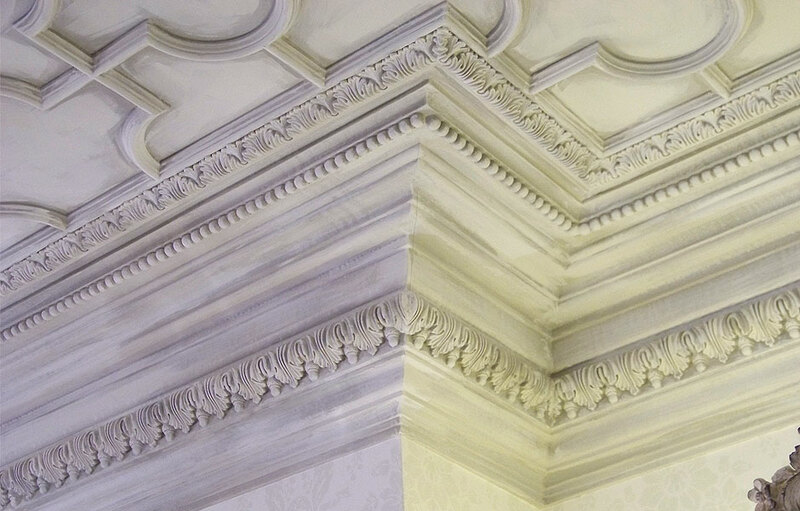 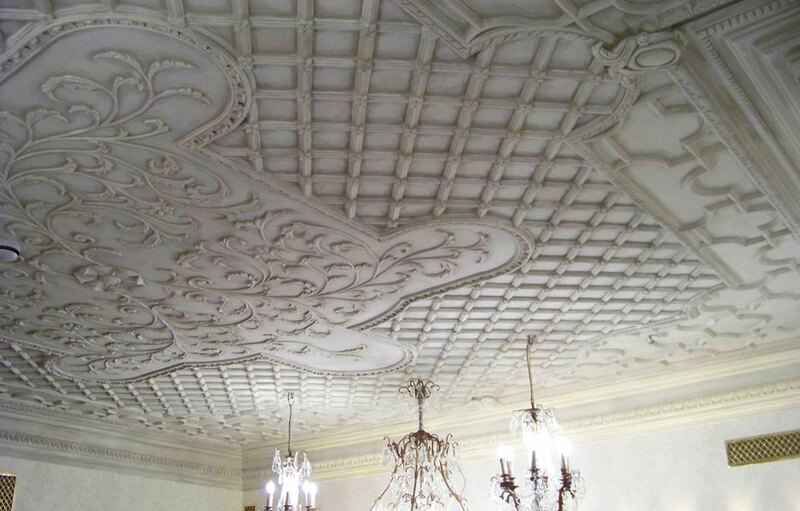 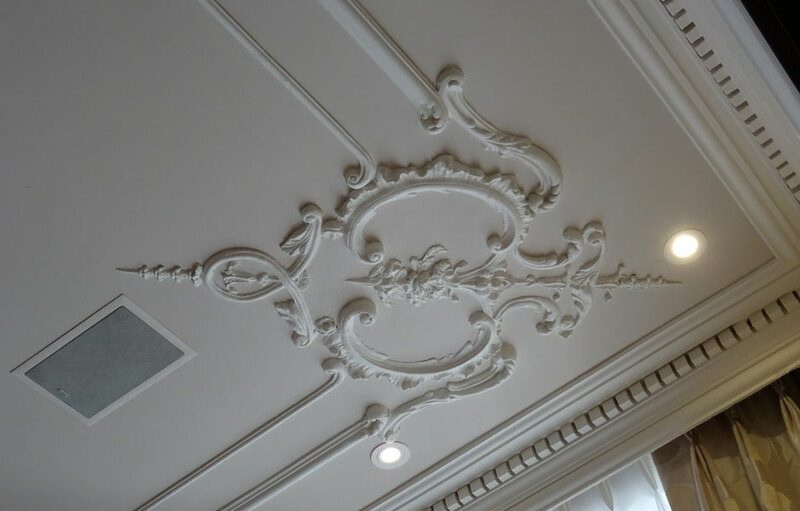 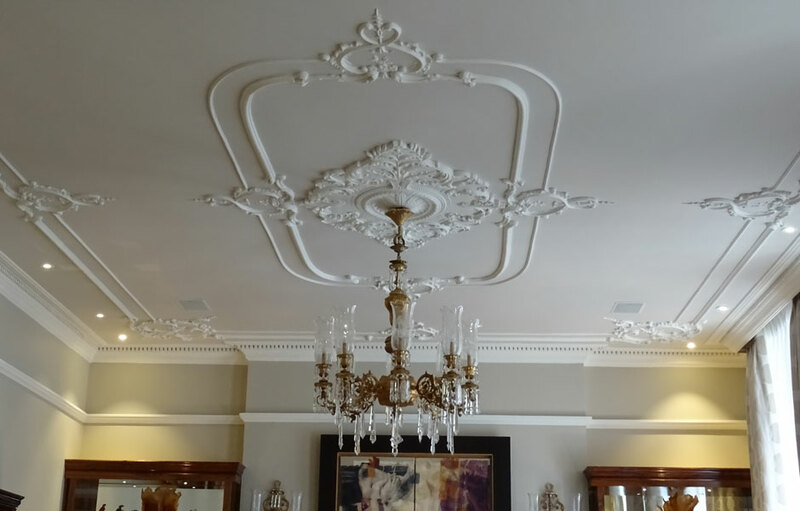 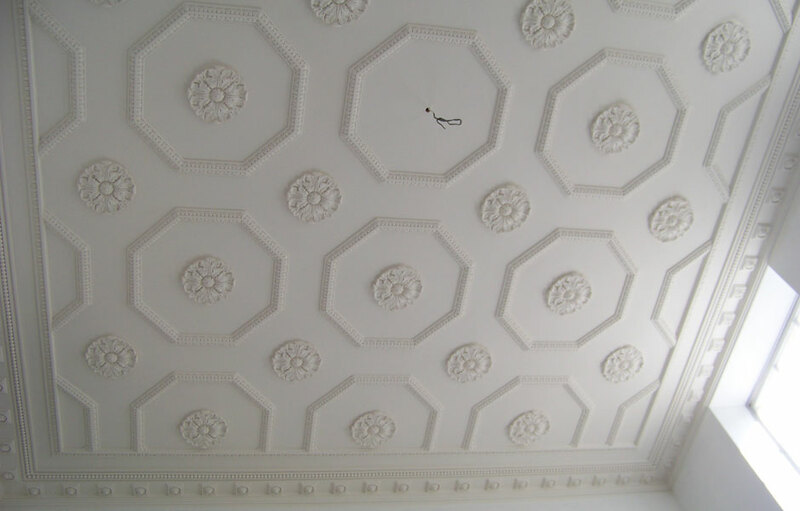 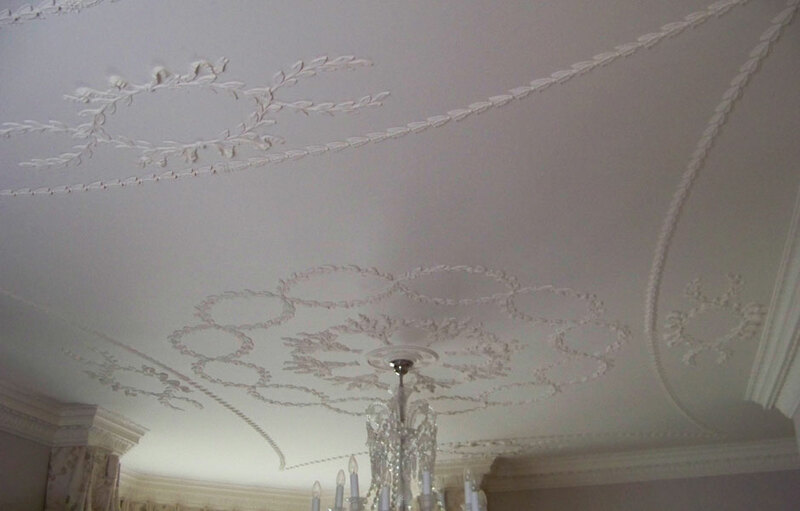 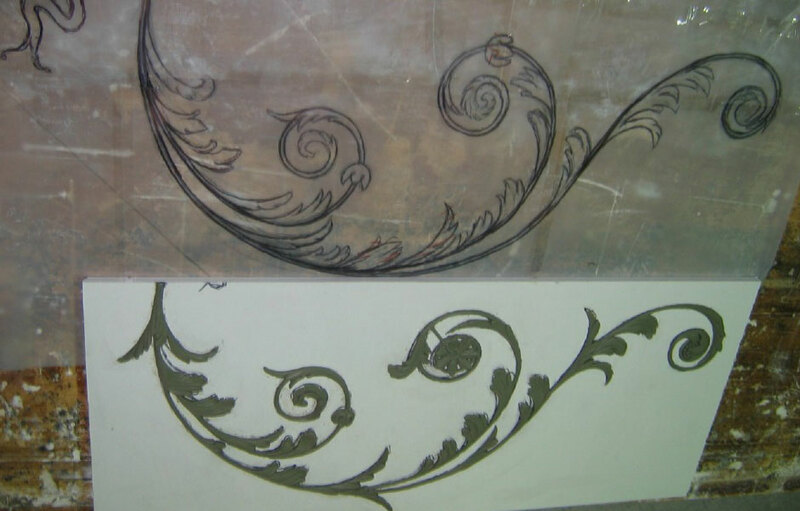 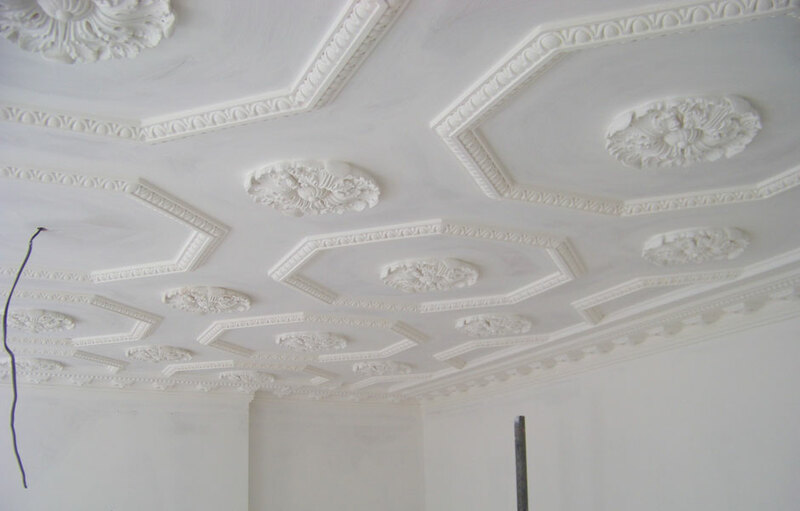 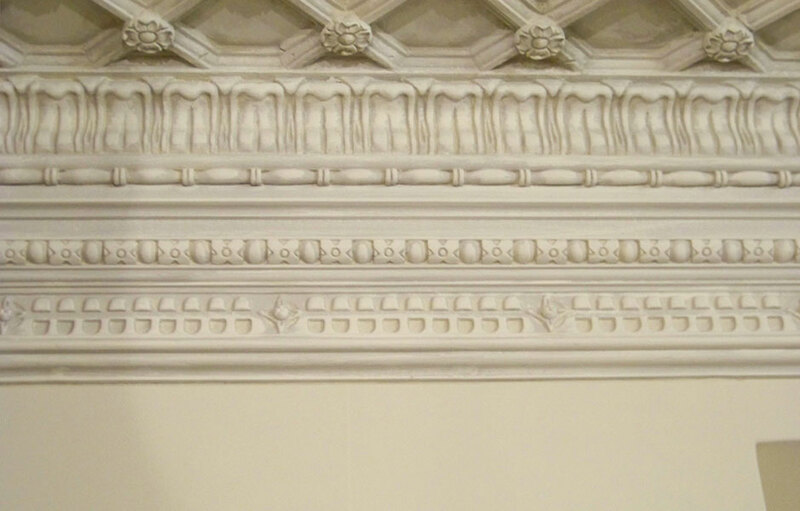 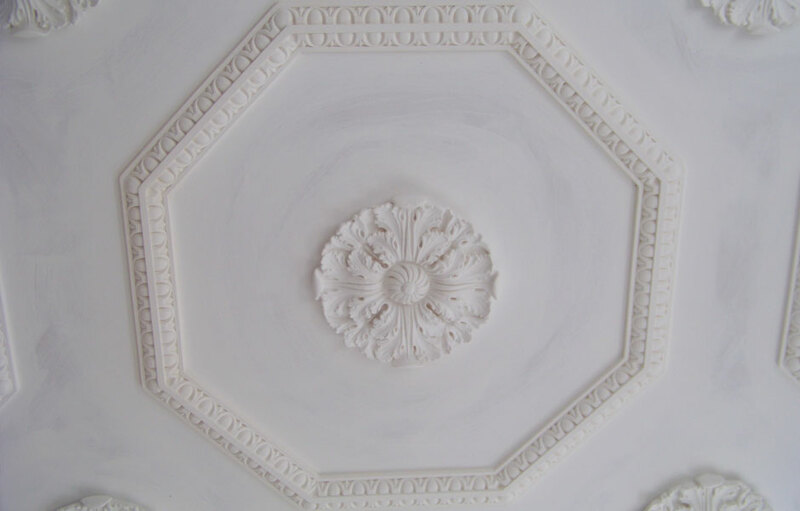 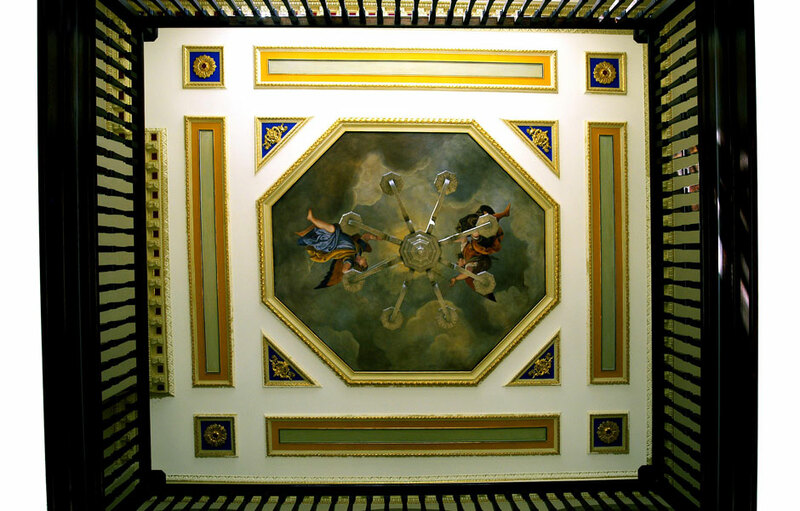 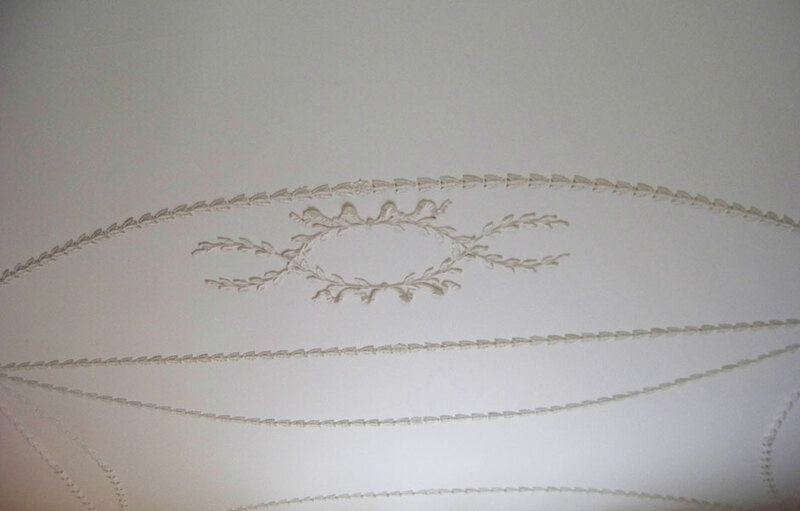 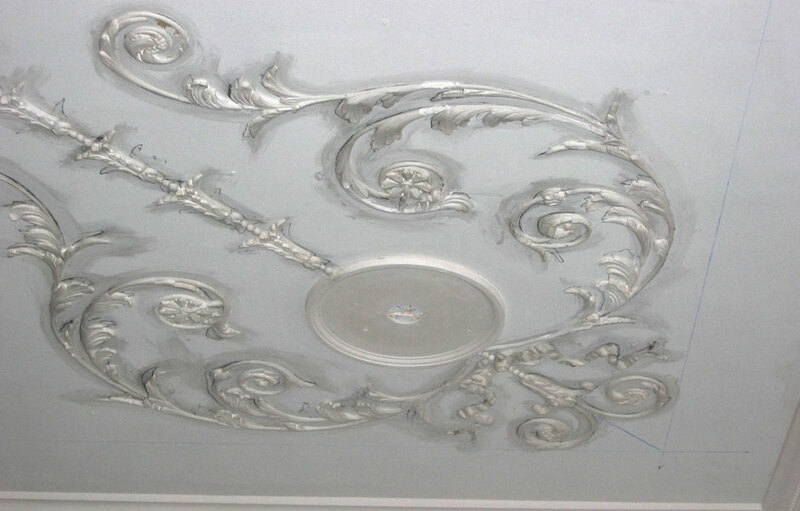 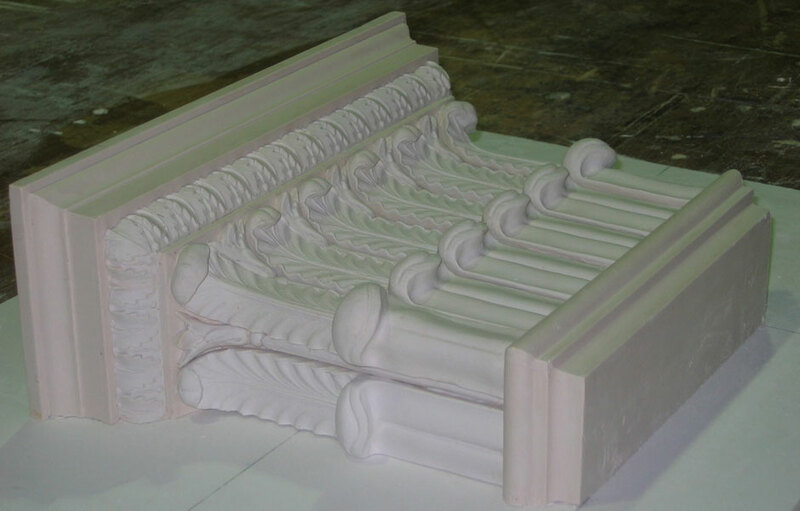 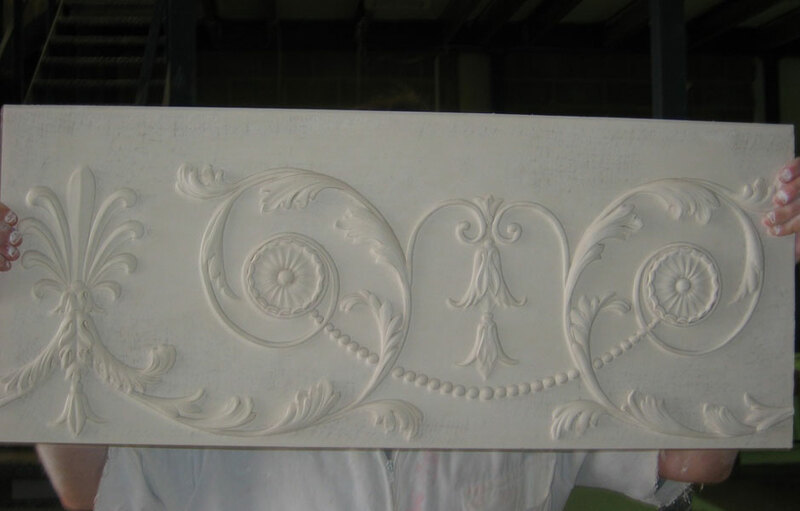 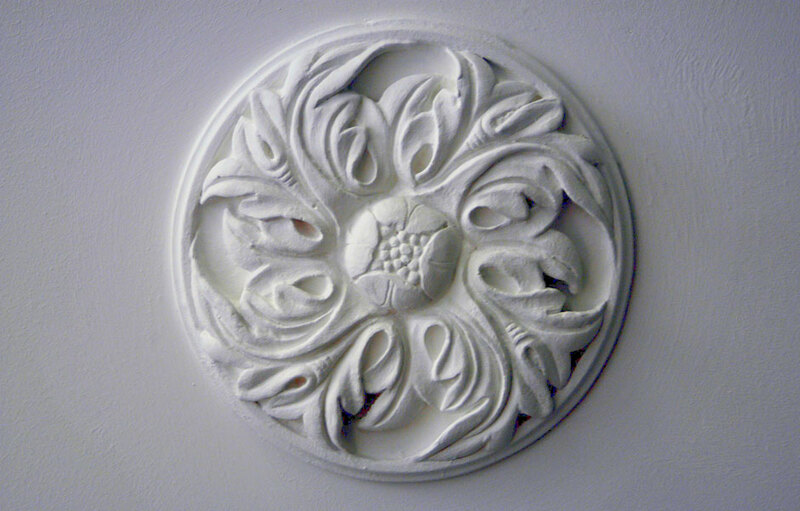 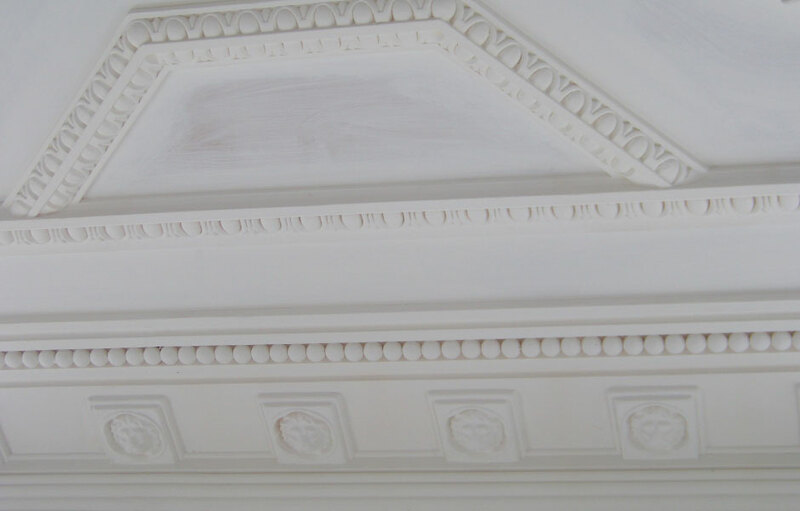 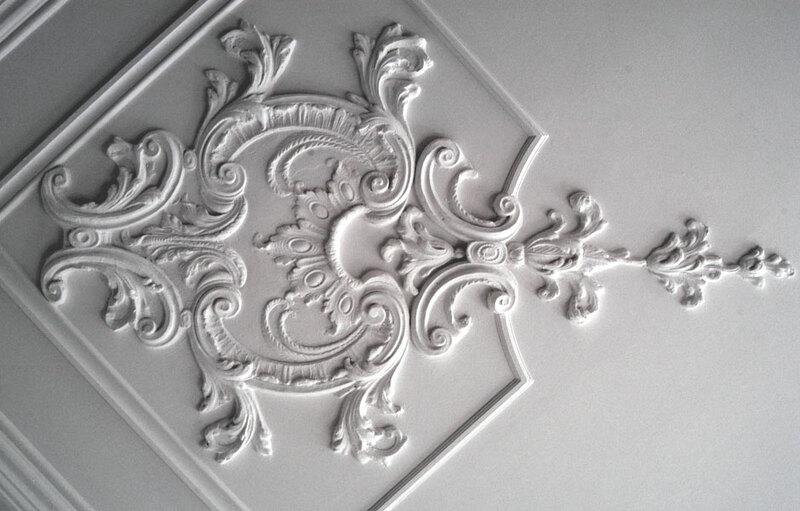 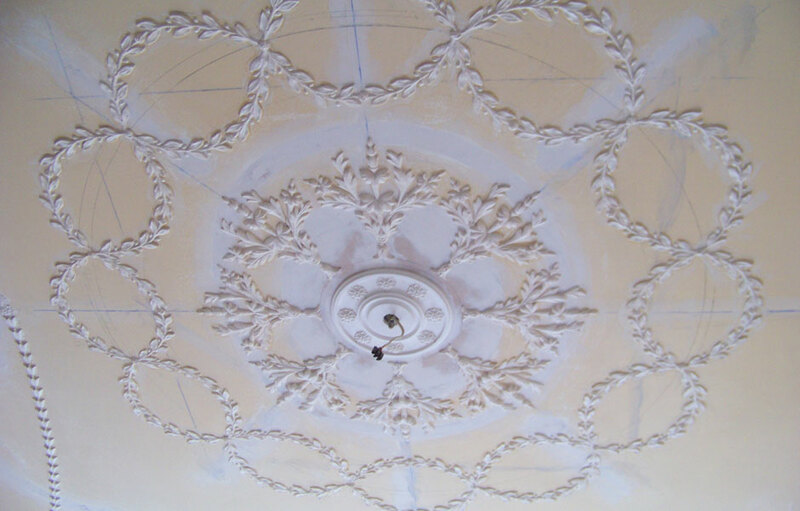 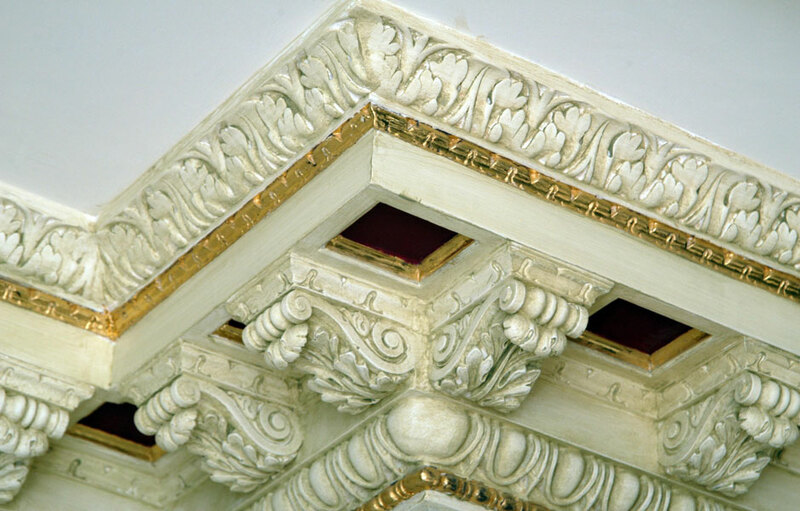 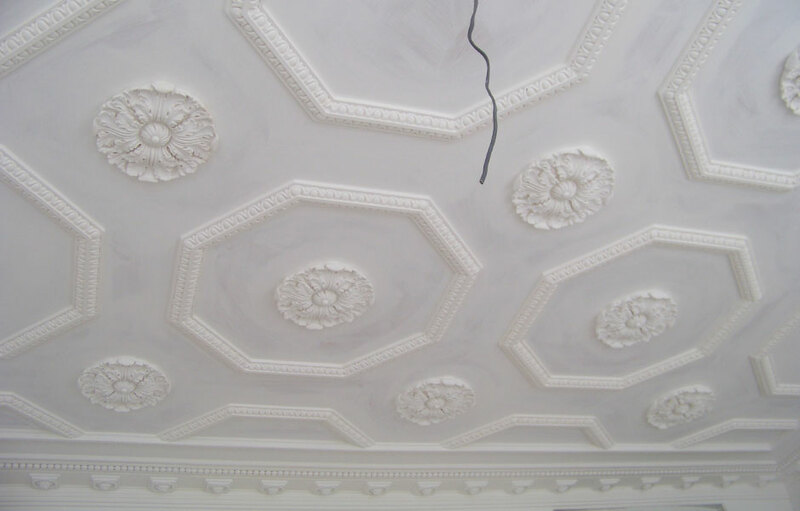 Please find within this section examples of bespoke ceilings completed by Heritage Plaster Services, ranging from simple plain panel designs to those of a much more intricate nature.